Save $100: Replace Windows 7 Professional's Big Features with Freeware! I'm not a Windows fanboy or general enthusiast of any real operating system, but I know my freeware when I see it. 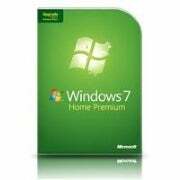 And the features you get from dishing out an extra $100 between the full versions of Windows 7 Home Premium and Windows 7 Professional are easily replicated by software that costs you nothing. When you mount a container file, TrueCrypt pulls up the file's associated virtual hard drives, which function like network-mapped storage. They'll appear as disks in your Windows Explorer menu, where you can access your encrypted area to drag-and-drop files or decrypt media files on-the-fly. But that's just a taste of what this program offers: Its free functionality surpasses anything offered by Windows, and is far more customizable than its file-properties-based alternative.